As we remain committed to protecting religious liberties across the country, it is important to remember that there are millions of believers around the globe who face life-threatening persecution on a daily basis. It’s not surprising then, to discover that a record amount of Christians—as many as 7,000—were executed for their faith last year, according to an annual report by Open Doors USA. The number reflects a 50% increase over the worst previous year and the highest number since statistics have been tracked. North Korea: 70,000 Christians are imprisoned. 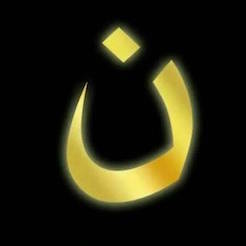 Iraq: Christians are targeted for genocide. Well,get ahold of United Methodist churches in the so. Calif. region, primarily mission valley.. 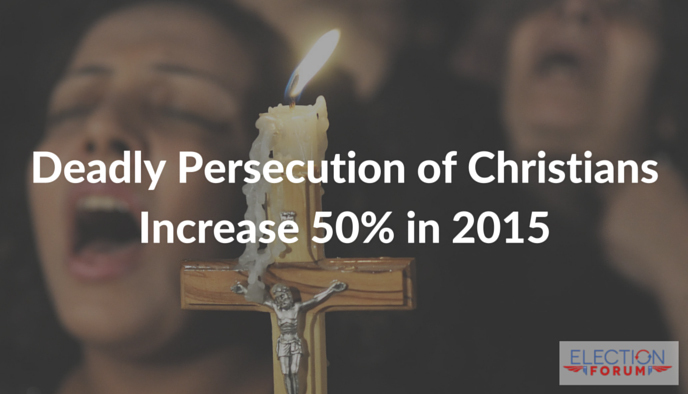 They will not tell us about what is happening with persecution of Christians that can happen here in the u.s. They have their heads buried in the sand unfortunately. Only the evangelicals get a clue. I think that is why the Methodists are leaving churches in droves, sorry to say. Proverbs 25:26 — A righteous man who falters before the wicked is like a murky spring and a polluted well. Psalms 82:4 — Deliver the poor and needy; Free them from the hand of the wicked. Ecclesiastes 3:8 — A time to love, and a time to hate; a time of war, and a time of peace. James 2:20 — But do you want to know, O foolish man, that faith without works is dead? The challenge for Christians in the United States who understand their biblical obligation to engage in ‘works,’ including represent Christ in society and government to the exclusion of extra-biblical worldviews and governance, has never been greater than today. Things were somewhat simpler in pre-1900s hundreds America, where enough pulpits were populated by pastors and priests who understood their obligation as shepherds to protect their sheep both spiritually and physically. They included the obligation to admonish their sheep to oppose and often fight evildoers. Evildoers including British tyrants, enlightened-humanists, including those unwilling to relinquish slavery. The challenge today, is that the pulpits understanding this obligation are extremely rare. Moreover, the pulpits that ‘edit the word of God to exclude the obligation to oppose evildoers’ represent all but a few pulpits in America. Search ‘works-phobic’ Christianity has left America vulnerable to evildoer social and political engineering change-agents while churches generally function as maintaining ‘happy sheep on their way to slaughter – with future generations in-tow.’ Inarguable, when one knows the history of Christianity having pre-1900s been the primary influence over American society and government, but is now along for America’s ride to national-suicide. 78 million Catholics and 20 million evangelicals in America, and there are not enough Christians who find Christ worth representing in society and government to ensure their own children and grandchildren inherit the same usable God given inalienable rights they inherited from previous Christians. A modern ‘Christianity’ transformed into a lukewarm religion bringing tyranny upon its own children and grandchildren testing the ‘justice side’ of our God of love and justice. Revelation 3:16 — So then, because you are lukewarm, and neither cold nor hot, I will vomit you out of My mouth. The year 1900 in America is the approximate dividing line between the existence of enough true Christianity to replace America on an erratic trajectory toward prosperity, and the deconstructing of Christianity into a biblically erred works-deficient religion based in feelings, emotions, and ‘experiencing Jesus.’ A religion forgetting that God created humans to choose faith in Christ, then busy themselves glorifying Christ with ‘works,’ which also evidence their faith is true and not merely assumed. Pre-1900s represents an imperfect Christianity, but where enough true Christianity existed to oppose British tyrants, free slaves, and displace ‘enlightened-humanist’ secret societies having infected Europe like a cancer. Post-1800s Christianity increasingly represents the teaching of an edited version of Gods Word omitting the obligation to aid the needy to the exclusion of government doing so, represent Christ in society and government, and oppose evildoers – hence the reason 55 million unborn children have been murdered, actions God’s Word defines as abomination are taught as ‘necessary to tolerate in our school systems,’ the words fairness, equality, and security are rarely based in biblical absolutes, and the list goes on regarding how deception, dialectical manipulation, moral relativism, and constitutional-deconstructionism offend God and destroy America. Those in America attempting to satisfy their obligation to represent Christ within the context of our constitutional-republican form of government, and especially those in the GOP, face and even more challenging venue of deception and manipulation then was the case in the early years of America – because percentage-wise, there are far fewer true Christians to synergize with and remedy such societal and governmental pathologies out of obedience to God. Intelligent and well intended Christians tell us we must vote for these ‘lesser of two evils’ candidates, while failing to see that doing so as a rarity has tactical merit, but voting for the ‘lesser of two evils’ as part of a decades long pattern as GOP voters continue to do, only brings destruction slower and of a different type then would Democrats if they were elected. Bottom line is, now that democratic-socialists and conservative-impostors have ‘poked and prodded the Muslim hornets nest’ over the past 60 years,’ and ‘the hornets’ are attacking,’ the hornets must be dissuaded or eradicated. But if GOP voters do not wake up to the fact that some conspiracy theories are based in truth while some conspiracy theories are based in lies (there truly is no ‘Jewish conspiracy’), and we will never know the most dangerous enemy of the United States. We must discern truth from deception by investigating such theories to ensure those based in truth are lawfully remedied. And to know the the identity of the most dangerous enemy of United States, one must answer the question of just what precisely was meant by the phrase ‘new world order’ used by several American presidents, Secretaries of State, heads of large multinational corporations, and many foreign leaders. A phrase when taken in any context, places any government official pursuing such a ‘new world order’ in direct conflict with their oath of office to preserve, protect, and defend the Constitution (SEE EXAMPLE: http://canadianliberty.com/?p=16876). The GOP is infected with a cult-like group of ‘establishment’ global-engineering conservative-impostors claiming conservatism and Christianity, and who catalyze conflict nationally, regionally, and globally, to create threats then used as a pretense for change within the context of the solutions proposed by the very people catalyzing such threats (tactically defined as the Hegelian dialectic / ‘order out of chaos’). There is little hope for America if the conservative-impostors and their well intended useful-pawns are not cleansed from the GOP leadership, returning the GOP to being the party of the Constitution. Not recognizing such truth has a true conservative Christian Americans responding to threats to America, but not too those tactically catalyzing such threats as part of their agenda. The only solution for this is to return the GOP to being the party of the original intent of America’s amended constitution – ending the GOP functioning as the party of conservative and Christian rhetoric followed by constitutional-deconstructionism and global-engineering. In the meantime, if the GOP is not lawfully cleansed of the conservative imposters infecting it like a cancer, it will continue to function as the lesser of two America destroying mainstream political parties – enabled by their accomplices on ‘establishment’ globalist Rupert Murdoch’s Fox News Network which functions as the dialectical anti-thesis to the other networks which directly indoctrinate viewers with socialism and globalism. Michael, you need to write books, not comments. Way too long, fella. You are correct. My apologies. Your comments are very long, but I do enjoy researching the things you claim are true because I don’t hear them other places. The challenges is that it takes forever to research it, and I hope I’m not overloading Google. Much of what you say is going on sounds similar to the things that keep corrupting Mexico. If Mexico could cure its corruption, it could have just as many jobs and be just as prosperous as America so people from Mexico would not need to escape to America. But like you say about America, the pastors and priests in Mexico hardly ever tell the men of their obligation to stop the corruption using the Bible. Very sad for our children and grandchildren.